Coming from ballet and modern, Brigitta started Argentine tango in 1982, and was one of the first wave of young dancers to study with the great maestros in BA (Todara, Copes, Pepito etc), and reintroduce tango to the rest of the world. She has been dancing in milongas and in the streets ever since, and understands the essence as an improvised partner dance. She is also an experienced performer, and one of the founding members of the all women Tango Mujers. Her dance background has given Brigitta a deep understanding of movement and connection. She is an accomplished lead and follow, and focuses on both roles. Her goal is to demonstrate how to make your dancing better for both you and your partner. Brigitta has taught all over the world, both dancers and teachers. She has founded multiple schools in Berlin, and currently splits her time between Berlin and New York. Brigitta is a tango legend for being one of the first to integrate body awareness and body work into her teaching style. Her focus is on connection, and how even the smallest movements together can be profound..
* Multiple Levels: the workshop will be designed to be appropriate for dancers of all levels. Dancing in close is Brigitta's preference. She will push your connection to the next level, and develop simple movements that will change the way that you dance..
Class size will be limited; so, early registration is recommended. Email leslie@tntango.com, or come by Tuesday Night Tango to register. 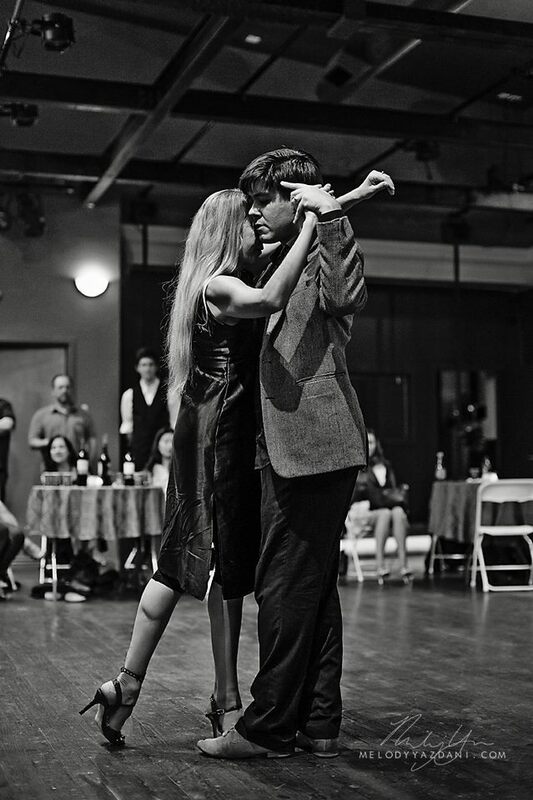 Registration in Tuesday Night Tango September series includes Brigitta's workshop.